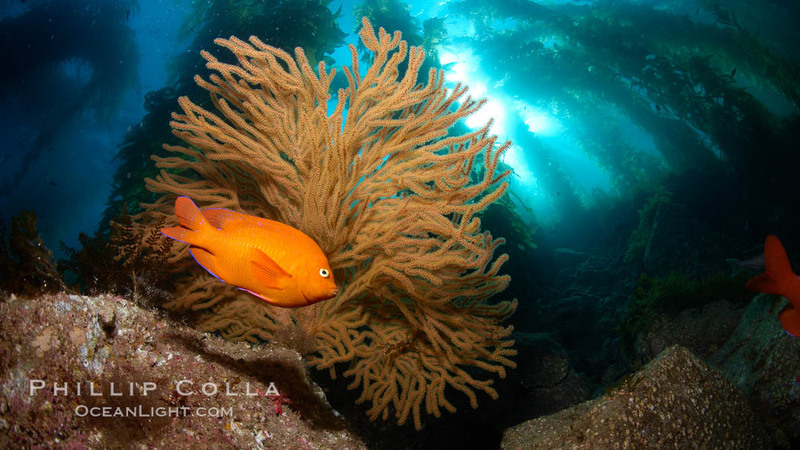 The California golden gorgonian (Muricea californica) is a common gorgonian species in southern California. 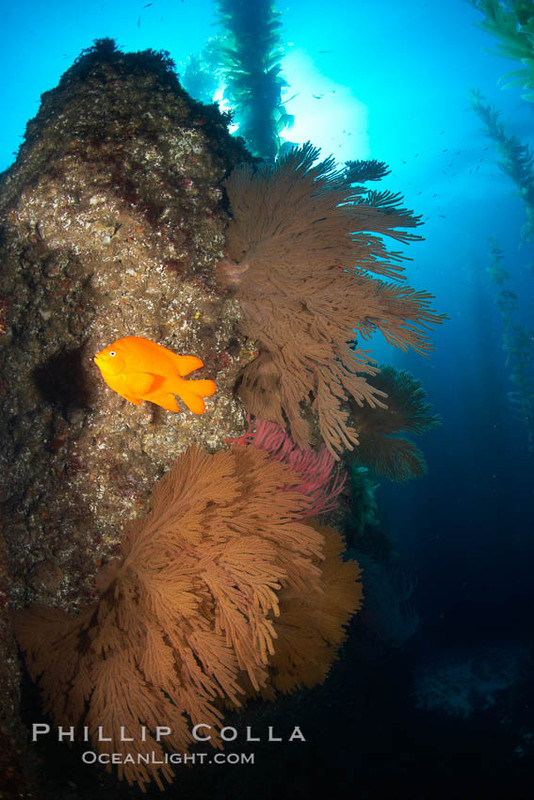 It is typically found growing on rocky reefs from 40′ to 200′ deep. 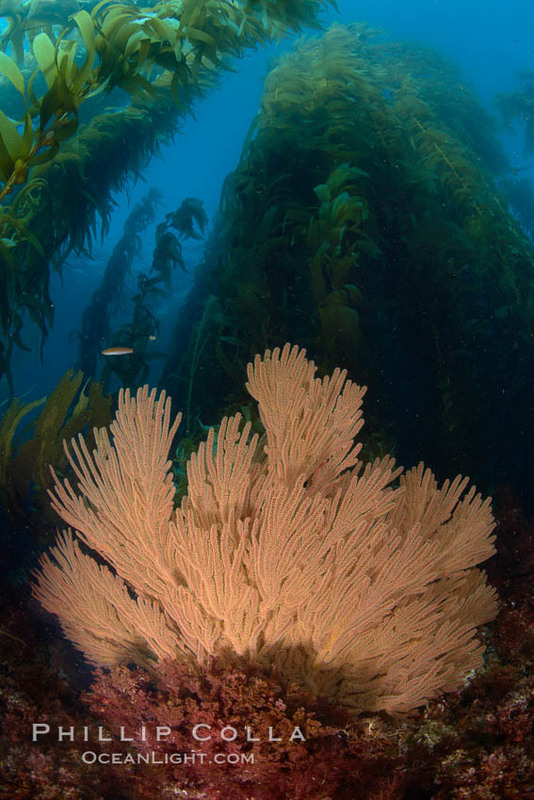 The California golden gorgonian is a colonial organism composed of thousands of individual polyps, each of which secretes calcium to form the structure of the colony. The individual polyps feed on plankton and detritus floating by in the current. The fan-shaped colony is usually oriented perpendicular to prevailing ocean currents to optimize this filter feeding. 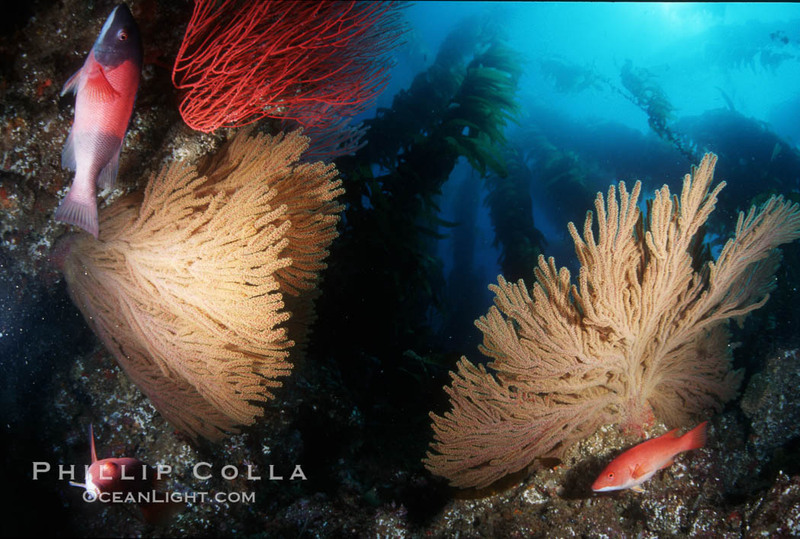 Most of my photos of California golden gorgonians were taken at San Clemente Island and Catalina Island, two of the beautiful Channel Islands offshore of southern California. 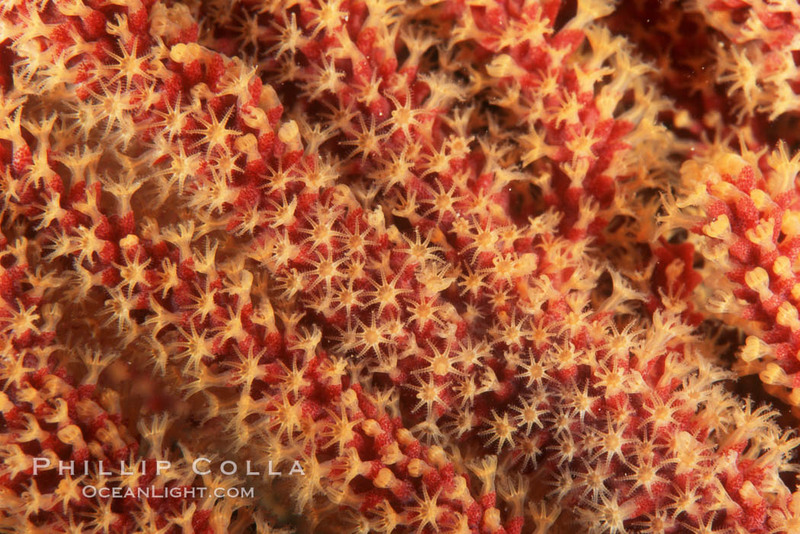 California Golden gorgonian polyps. The golden gorgonian is a colonial organism composed of thousands of tiny polyps. Each polyp secretes calcium which accumulates to form the structure of the colony. The fan-shaped gorgonian is oriented perpendicular to prevailing ocean currents to better enable to filter-feeding polyps to capture passing plankton and detritus passing by. California Golden gorgonian in kelp forest. California golden gorgonian on rocky reef, below kelp forest, underwater. The golden gorgonian is a filter-feeding temperate colonial species that lives on the rocky bottom at depths between 50 to 200 feet deep. Each individual polyp is a distinct animal, together they secrete calcium that forms the structure of the colony. Gorgonians are oriented at right angles to prevailing water currents to capture plankton drifting by. See my full collection of photos of California golden gorgonians and photos of Muricea californica. Keywords: California golden gorgonian, Muricea californica, underwater, California, sea fan.